Lake Charles is a medium sized city of 90,000 population that is experiencing massive growth as a result of $118 Billion of investment in natural gas, petrochemical, and sea port expansion projects that will ultimately add 35,000 population over the next decade. These projects are designed to address the correspondingly acute demand and shortage of supply. Located on 400 Arvell Loop (South of 1-10 behind Stines and directly across from West Cal Arena) in Sulphur, LA, Maplewood Place Park was conceived to address the shortage of housing in the Lake Charles and Sulphur area. Maplewood Place Park caters to skilled workers working in Lake Charles and Sulphur on mega-projects and more. Addressing the need of housing for the many highly skilled people who have come to Lake Charles, it will be home for a few months, or perhaps a lifetime. NOEP recognizes the need for a safe, clean location with all the basics, and the best internet to stay connected with friends and family. Maplewood Place Park opened for official business December 27th, 2018. Located on 6 acres in southwest Lake Charles, at the corner of Ham Reid Road and Weaver Road, Sage Oak Assisted Living & Memory Care provides outstanding service based on the belief that it is a community’s responsibility to preserve the health, safety, comfort, and general welfare of our seniors who may be suffering from loneliness and anxiety and require special care. When thinking of assisted living, one may picture a nursing home or perhaps a large, institutional-type assisted living facility. Sage Oak is different from this - we are a boutique senior housing company. This type of community is laid out like a residential neighborhood, but instead of single family homes, these homes are purpose-built boutique assisted living and memory care homes. Each home will have a maximum of 16 residents per home and will be independently-licensed through the Louisiana Department of Health. 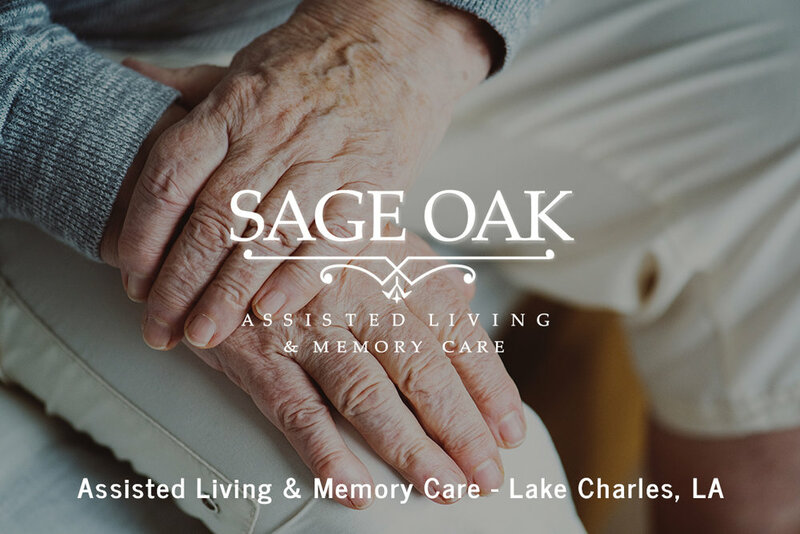 With a higher caregiver to resident ratio compared to a typical nursing home, Sage Oak Assisted Living ensures attentive and specialized care to meet each resident's specific needs. The proposed project is a 240 unit new construction Class A apartment complex with luxury amenities. The complex will have a mix of 1BR, 2BR and 3BR units. The property is organized around a central green space with a club house, pool, fitness center and open air grilling area. The project is organized in 10 buildings of 24 units each. The average unit size is approximately 800 square feet. The project zoning and site plan have been approved by the City of Lake Charles City Council. It is fully entitled. We see this project as fulfilling an acute need for housing. Lake Charles is growing in all asset classes. Many people are moving into single family homes. However, those skilled workers on term contracts need rental accommodations, despite the fact their high incomes could support home ownership. Each of the mega projects (currently 15) requires thousands of skilled workers for an extended period of time. 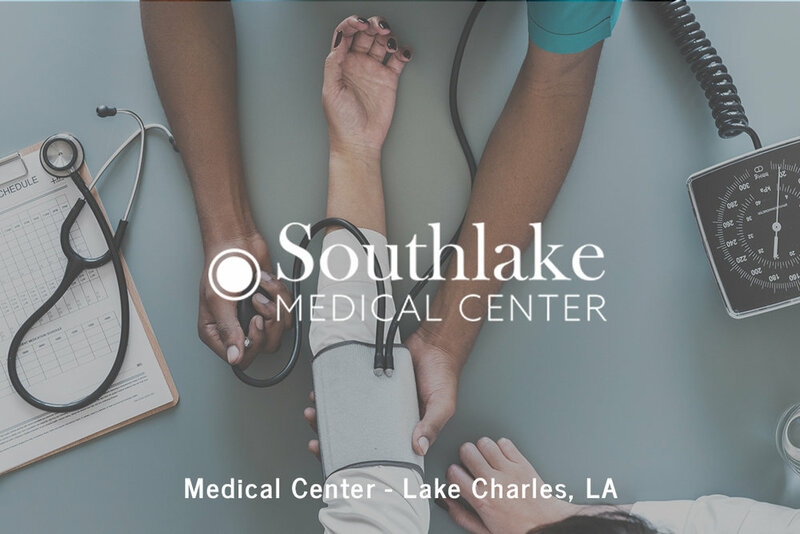 Southlake Medical Center is a proposed ground up medical office development in Lake Charles, Louisiana. The property is on the South side of the city were the majority of infrastructure and residential development is focused. The medical office component will consist of 60,000 SF of Class A medical office space. The land has been acquired and the planning for this project is underway. Our clean energy technology is a proprietary closed loop distillation process that derives various high demand products from coal. With this Patented new technology, the distillation process provides significant benefits for U.S. energy needs. Coal has traditionally been resourced as a reliable homegrown power source at a low cost in comparison to alternatives such as foreign oil and high upfront costs of nuclear development. It is considered readily available when and where needed without subsidies compared to renewable energy sources. However, the need to ‘clean up’ coal production and extract the maximum value from its use is in the forefront of U.S. policy making decisions. Opportunity Zones aims to connect low-income communities with much needed capital. Opportunity Zones offer a new, exciting and important investment vehicle within the United States. Opportunity Zones were created as a result of the 2017 Tax Cuts and Jobs Act, to encourage private investment in qualified opportunity zones. The goal of these opportunity zones is to strengthen distressed neighborhoods across the United States through economic development and incentivize job creation in those communities. One of the requirements of earning a designation as an Opportunity Zone is that the area has a poverty rate of at least 20%. The core of the program is to encourage investors to reinvest capital gains, which can come from any investment — including stocks, bonds, real estate and partnership interests — into these zones. Investors are able to invest in Qualified Opportunity Zones through an investment called an Opportunity Fund. The opportunity zone program allows individuals and businesses to liquidate a wide variety of appreciated assets and to reinvest all or a portion of the gain into qualified opportunity funds within 180 days of triggering the gain. The gain can then be deferred and or eliminated up until Dec 21, 2026. The longer shareholders keep their interests in the funds, the more rewards they receive. After five years shareholders will pay no taxes on 10% of the gains. After seven years, 15% of the gains will not be taxed, and those holding investments for 10 years avoid paying taxes on all gains. Tax Cuts and Jobs Act of 2017 created a new community development program that encourages private investment in qualified opportunity zones. This program allows taxpayers to defer unlimited amount of gain and reduce gain from the sale or exchange of property if the taxpayer reinvests the gain proceeds in a qualified opportunity fund. A taxpayer owns stock with a basis of $20,000 and sells the stock in 2019 for $120,000. The taxpayer would normally recognize $100,000 of the gain in 2018. Under the new program, the taxpayer may defer this gain and eliminate tax on future appreciation by investing the $100,000 gain in a qualified opportunity fund within 180 days of the sale. The investment, while in the Opportunity Zone, appreciated to $150,000, tax on that gain was $0 after 10 years. Opportunity zones are certain designated tracts that provide significant tax benefits to investors who invest in these areas to potentially eliminate a portion of the gain and all future appreciation. Investor sells an appreciated asset with a realized capital gain. Within 180-days, they invest those capital gains into a Qualified Opportunity Fund to defer capital gains tax. 10% reduction of taxable capital gain. All capital gains are tax exempt. We both come from very different backgrounds but coming together to partner in a real estate/investment company is just what we were destined to do. In early 2008 we decided to attend a Rich Dad event in our hometown of New Orleans, LA. That was the start of our Real Estate Investment careers. In late 2008, we purchased 3 downtown lofts in Birmingham, Alabama that an investor was unloading during our last real estate crisis. Over the next 7 years, we focused on building residential new construction, redevelopment of residential homes and multifamily rentals in both Louisiana and Alabama. We participated in the “rebuilding” of New Orleans and surrounding areas after Katrina and were pleased to say that we helped contribute in our hometown in a very positive way by helping to bring people back home! In 2013, we discovered an up and coming boom market in Lake Charles, Louisiana. 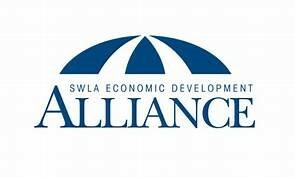 We saw the need for development in several real estate asset classes to support the tremendous growth that Southwest Louisiana is now experiencing and will continue to experience for decades to come. We are in the “right place, at the right time” and will continue to grow in that market. We also have investments in the energy sector. In 2013, we entered the oil and gas business. Our timing was off to enter this industry, but we knew this industry would bounce back because with oil and gas, “it’s not if, it’s when”. We are now invested in a “cleaner coal” company that has a very promising outlook. We are helping to grow this industry because with the use of coal, “it’s not if, it’s when”. We are working with a company that is making the use of coal more environmentally friendly. Our latest discovery is an area with several Opportunity Zones that we think is the next boom market. It’s an area that’s “under the radar” like Lake Charles, LA. Pam Abide is Managing Partner of New Orleans Equity Partners and an entrepreneur and investor who operated her own service/retail business for 17 years in both the Mandeville and Metairie communities of Louisiana. Pam believes in nurturing strong business relationships that creates a win-win for all parties involved. As a confident, driven professional who reacts quickly to opportunities that produce yield high returns, Pam focuses upon project development and acquisitions. She has successfully completed numerous investment and real estate transactions within the Greater New Orleans and Southeastern regions, as well as, Southwest Louisiana. Her extensive network of contacts has allowed Pam to partner with some of the most respected and experienced people in the real estate industry, producing more than $1 billion dollars of real estate development experience. Pam and her business partners successfully collaborate to manage the complexities of real estate developments. Her vast knowledge of finance, design, environmental, zoning and execution has made her a recognized leader in the business community. Additionally, Pam is a Managing Partner of Paragon Business Capital, which is a firm that provides alternative financing, commonly known as Factoring, for small and mid-size businesses who want to increase business revenue and profitability. Ms. Abide hails from Birmingham, Alabama, and has resided in Louisiana for more than 35 years. She is a graduate of the University of Alabama at Tuscaloosa with a Bachelor of Arts specializing in the field of Communications. 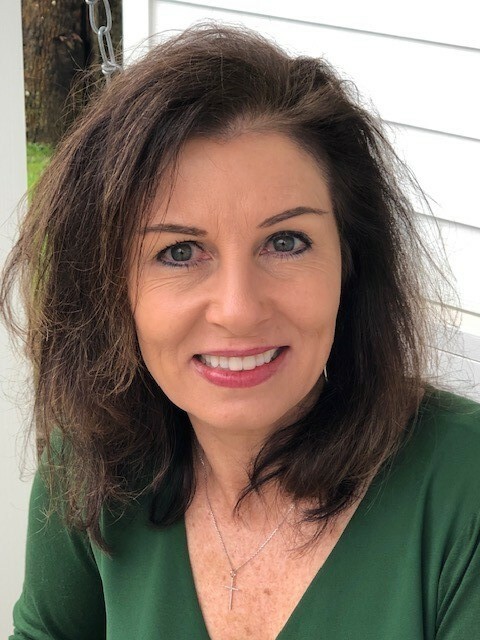 As a resident of St. Tammany Parish for more than 32 years Ms. Abide has supported civic organizations such as the St. Tammany West Chamber of Commerce and St. Tammany Economic Development Foundation and is a Board Member of James Storehouse Louisiana. She is the proud mother of two grown children, Kimberly Abide Bergeron, Christopher, and a beautiful grandson, Luke. Serving as Director of Finance and Investor Relations with New Orleans Equity Partners, based in Covington, LA, Sharon’s primary focus includes Land Investment, Fossil Fuels Investments and Real Estate Development. She works closely with local leaders and influencers in the markets she is invested in to ensure success in those markets. Her knowledge and experience with acquisitions and structuring of successful projects bring many creative ideas to enhance profitability. Her active participation in the marketplace has enhanced her ability to make a difference locally and to stay connected in a constantly changing and emerging marketplace. Previously, Sharon worked in Quality Control Management in Pharmaceutical Manufacturing. She has garnered knowledge and experience in Quality Assurance, Procurement, Vendor Auditing, Scheduling and Import/Export Distribution, in a highly regulated Industry, where she garnered knowledge and skills that have served her well in her business career. She also was the Co Founder of Another Broken Egg of America Franchise Business which started in 2001, and continues today to be a very successful Restaurant Franchise Business. She sold her interest in 2007 to focus primarily in Real Estate Development. Sharon now partners with some of the most experienced people in the Real Estate Industry and brings a management team with over $1 billion dollars of Real Estate development experience. Sharon helps to navigate through the complexities of zoning, design, environmental, finance and execution of Real Estate development projects. Adam Clavelle is the Business Development Director at New Orleans Equity Partners where he is responsible for investment research and project management assistance. Mr. Clavelle is currently a senior finance major at Southeastern Louisiana University where he will finish in May 2019 and will be continuing his education towards a Master of Finance at Tulane University’s A.B. Freeman School of Business in the Summer of 2019. Adam is currently conducting research on the Economic Growth, Regulatory Relief and Consumer Protection Act, an amendment to a portion of the Dodd-Frank Wall Street Reform of 2010. He and other junior researchers are hoping to uncover the effects of the new act on the lending practices of community banking. James Storehouse has been dedicated to the support and welfare of the child foster system for the past 8 years. Inspired by James 1:27, this non-profit organization was created by St. Tammany resident Kim Bigler. Working with DCFS, churches, volunteers and foster families, James Storehouse provides resources and improves living conditions for foster children. In the Covington region of Louisiana there are 822 foster children, which is larger than in any other region in the state.